Neighbor Nights is a community event series at NGRREC held from 5:30 p.m. - 8 p.m. on the first Tuesday of select months throughout the year. Neighbor Nights is a great time for you, our river neighbor, to come and learn more about the great rivers of the world, the watersheds that feed them, and the communities that use them. It’s also an opportunity to participate in public tours of our LEED certified field station, get behind-the-scenes laboratory access, or enjoy hands-on activities. Limited free food and beverages will be provided. We are excited to announce that Schlafly Beer will be partnering with NGRREC for our 2019 Neighbor Night series! 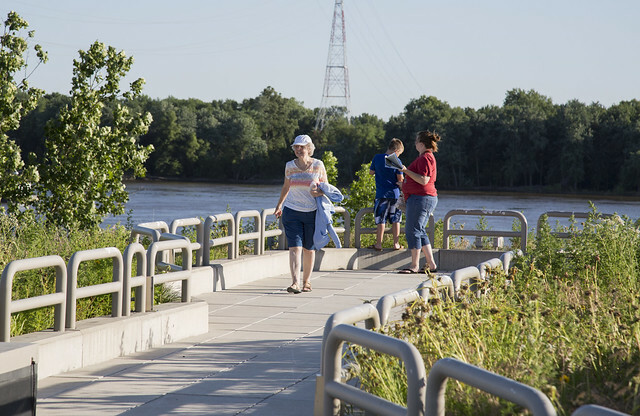 This means that, while you hear from NGRREC staff about their work and learn about river-related topics, you can enjoy free Schlafly beverages. Both Schlafly Beer and NGRREC are committed to environmental sustainability, so the partnership was a natural fit. And, we can’t wait to bring this partnership to you! Each month offers something different and highlights a unique project led by one of our researchers, educators, or conservationists, so make sure to check out this year’s topics and come see us for a few of your favorites!